Latisse is an eyelash enhancement drug manufactured by Allergan. 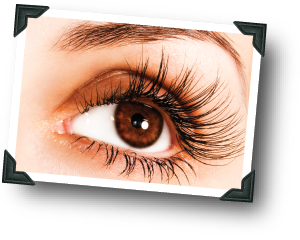 Latisse makes eyelashes longer, fuller and darker in weeks. The product is brushed onto your upper eyelids daily. Latisse is FDA approved for people who experience a condition called hypotrichosis, i.e. inadequate eyelashes. If you are dissatisfied with your eyelashes and believe they are insufficiently developed, you should ask your doctor about Latisse. Latisse is simple to apply. First, remove makeup and contact lenses and make sure your skin is clean. Next, hold the sterile applicator horizontally and place a single drop of Latisse on the area of the applicator closest to the tip (but not on the tip). Brush the applicator carefully along the skin at the base of the upper eyelashes, where the skin meets the lashes. Do not apply on the lower eyelid. Blot any excess with a tissue and dispose of the applicator. Latisse does not work instantly. It takes at least 12 weeks for the full results to be appreciated. After about 8 weeks, you should see a change in your eyelashes. In clinical studies of Latisse, 78 percent of participants realized a significant increase in their eyelashes at week 16.